A month after fire broke out in a Badjao community at Brgy. 23 – C, residents are slowly getting back on their feet. Starting all over from the charred remains of their homes was a difficult feat for people who barely subsist on a day’s hard work. 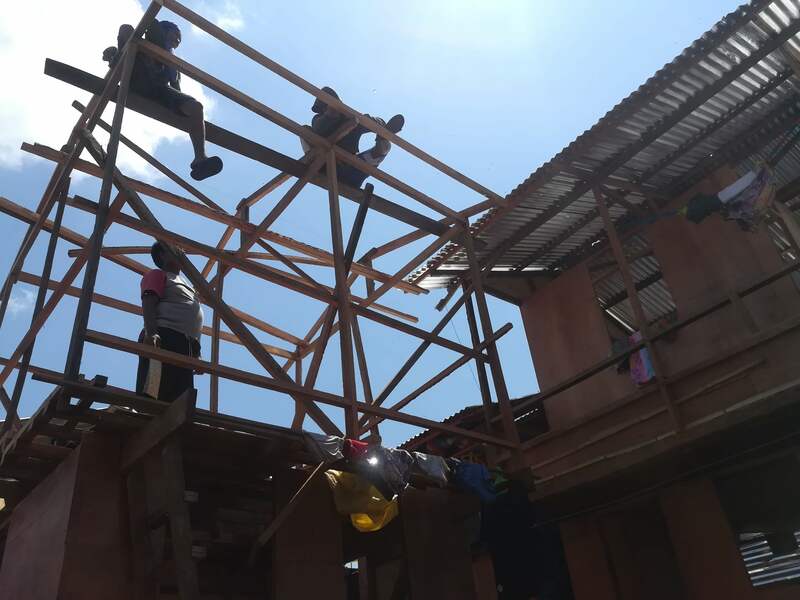 Households rebuilt using donated tarpaulins, plywood and coco lumbers. In broad daylight of February 20, a flame devoured most areas of the community. Men and women, elderly and children- fled as fire quickly spread, spurred by the onshore breeze that ignited light materials from their homes. The blaze prompted most of the residents to seek refuge on a sand bar close to the community, helplessly watching 200 households burning. On that day, within two hours, over 500 families lost their homes including the five resilient homes built way back 2017. This means, residents had to start from the ground up, slowly putting back pieces of their lives in the process. After five days of staying at the Isla Verde gymnasium, residents were all determined to go back to their homes despite the fact that what was left was a burnt patch of land. They also rejected the offer of the barangay officials to temporarily transfer half of the fire victims to a covered court in Bankerohan. Badjao family, together all the way.Right after the fire incident, social assistance and welfare services from both government and non-government sectors were distributed to the victims – foods, clothing, school supplies for students and basic cooking materials. 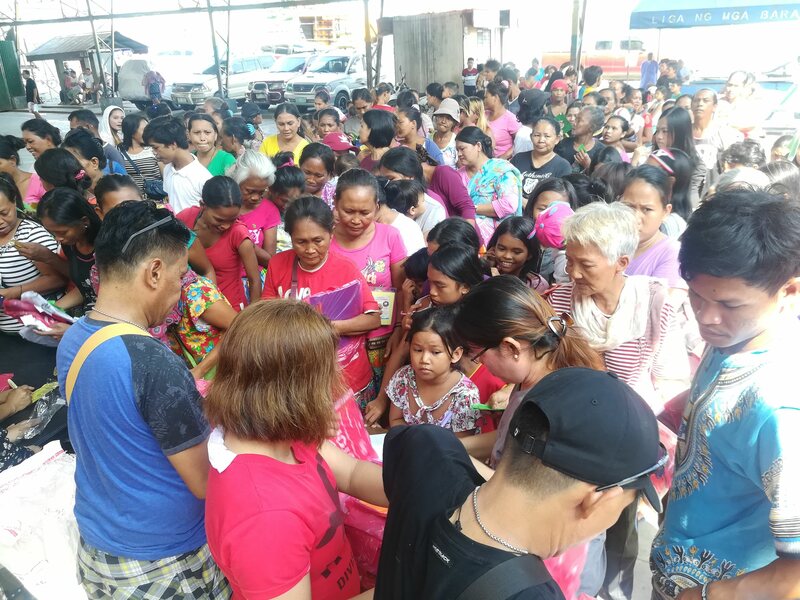 Tambayan Center for Children’s Rights Inc. has distributed 200 packs of relief goods accumulated from the donations of concerned individuals last Feb. 25. The local non-profit organization conducted the second batch of relief operation last March 23. Department of Environment and Natural Resources (DENR) XI also donated wood and coco lumber for the construction of their houses. The victims also received roofing materials, tarpaulins and other housing materials from various organizations. 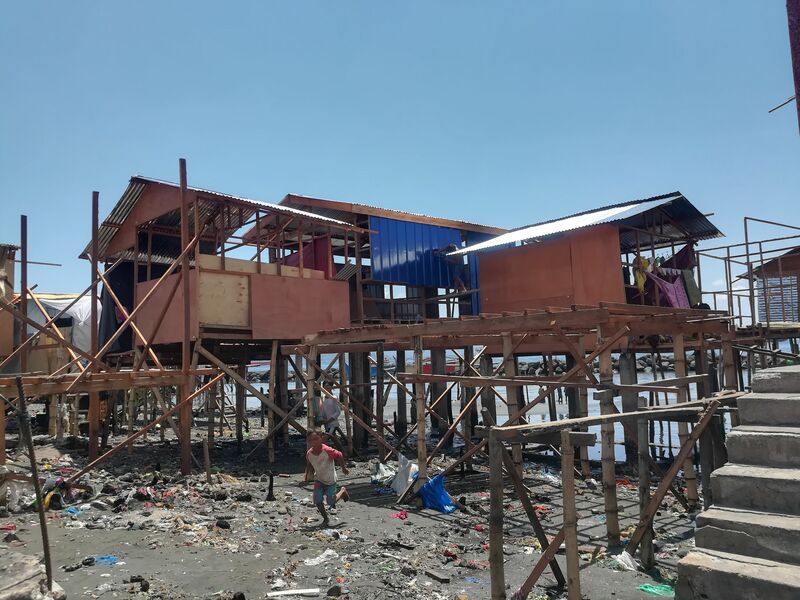 Using the limited resources, the Badjao community has begun rebuilding their homes and restoring the community. It helped that there were seven people from the community who were equipped with knowledge on carpentry. Last 2017, they graduated and received their Carpentry NC – II certification from Technical Education and Skills Development Authority (TESDA). Among the trained individuals is Wansing, also a victim of the recent fire. Aside from rebuilding his home, he helped his neighbors whenever they needed his assistance. The entire community has proven their resiliency once again. This is not the first time that they experienced fire incident, neither will it be their last. In a 2014, massive fire also hit the area where 1,000 houses were burned followed by another huge fire in 2016. The Badjao community may have recovered but families are still in need of further assistance to help them cope with their losses. When it rains, they have no choice but to sleep under a leaking roof. Getting enough food for the entire family also remains a major challenge every single day. They obtain food in any way possible with no idea when their next meal would be. 500 fire victims lined up for the distribution of relief goods containing shirts, school supplies and slippers. This vulnerable group of the society has been facing distinct disadvantages and stigma throughout their lives but they are still able to find balance – as though they are genetically designed to withstand all the challenges. This is a testament to the strength of the human spirit.